In the past few months, Casio unveiled a new product in its entry-level line-up of digital pianos, which must face the difficult job of replacing one of the best affordable solutions ever proposed by the manufacturer, the renowned CDP-120. Improving a best-seller piano like that must have been a great challenge for Casio, but once again the Japanese company has surprised everyone by revealing the new CDP-130. This is an 88-key weighted key digital piano that offers all the features of the previous model, doubles the amount of sounds, adds new interesting options and ships for an even lower price than its predecessor. Let’s check the main features of this new instrument from Casio and compare it with the CDP-120 and other popular digital pianos. You can read our new Casio CDP-135 review here. WHAT COMES WITH THE CDP-130? If you felt a little sense of déjà-vu while looking at the CDP-130, it is because the chassis is basically identical to the CDP-120’s. In fact, the two pianos share the same cabinet, keyboard and connectivity options, so it’s quite easy to be confused when comparing the portable pianos side by side. The product comes in two different finishes: the CDP-130BK (black) and the CDP-130SR (silver), and both versions can be turned into a piece of furniture by adding the matching Casio CS-44P stand, available separately for $119. The main interface of the Casio CDP-130 includes a Power button, a Volume knob, the Demo mode, the multi-use Function button, two buttons to select the Grand Piano or Electric Piano tones, the new Metronome mode (that allows to practice with the tempo) and the revamped Reverb section, which now includes a deeper Hall model that can be useful to enrich the piano sounds. 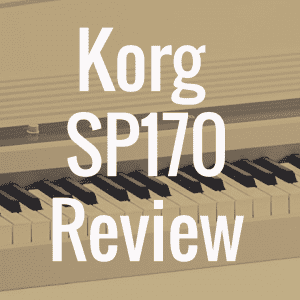 Other advanced functions, such as the Touch Response, the Transpose, the built-in DSP (for changing the Reverb intensity and the Chorus depth) and the Metronome Tempo/Beat, can be managed by pressing the Function button and the desired note on the keyboard. The top panel includes the two 8W-oval Full Force Sound Speakers and a slot for placing the music stand, while on the back panel we find the Headphones output, the Sustain jack, a USB port for MIDI connectivity, and the power supply jack. Like the old CDP-120, the Casio CDP-130 features the classic AHL Sound Source engine, which now offers ten sounds (against the five tones included in the previous model) and the same amount of polyphony, set to a maximum of 48 notes. This allows users to play very complex passages of classical music, such as arpeggios or scales, while pressing the sustain pedal. The same feature can be helpful while playing bigger chords in Layer mode, without any risk of dropped notes. 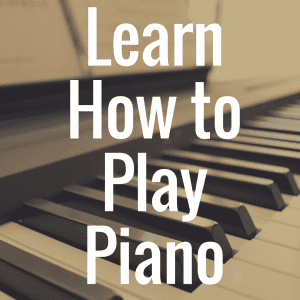 Also returning from the CDP-120, the 88-key Scaled Hammer-Action Keyboard is a great way for students to start learning the piano basics and the importance of dynamics, thanks to a spring-less hammer system that provides a heavier touch on the lower notes, and a lighter touch on the higher ones, just like a real grand piano. The ability to set a different key responsiveness (choosing between three sensitivity levels, or even disabling it if you prefer the standard touch response) is a great tool to properly master the different dynamics that a grand piano can offer when playing softer or louder. Despite the entry-level concept and the portable design of the CDP-130, the new digital piano from Casio offers a realistic experience that is great not only for piano students and beginners, but also for all those live musicians who want a well-sounding and compact digital piano for their gigs, thanks to an extremely lightweight chassis (only 23 pounds). With the launch of the new CDP-130, several retailers have dropped down the price of the old Casio CDP-120, which now ships for the same cost of the new model. But is it worth it to spend up to $399 for an old product that offers less features and sounds? In our opinion, you’d likely be better off investing that money on the newer CDP-130 because it includes all the specs that you would find in the CDP-120, in addition to five additional sounds, the Metronome and the new Hall Reverb. Opting for the older model is not recommended, unless you find a significantly lower price or a good offer for a used CDP-120 piano. Things change if you add to the Casio PX-130 into the mix, which is a better solution for intermediate and professional players who want to spend less than $1000 and get more value. The PX-130 offers a better keyboard (the renowned 88-key Tri-sensor Scaled Hammer-Action Keyboard), a more powerful sound engine (the Linear Morphing AIF, with 16 great sounds and a 128-note maximum polyphony) and a more convincing mix of options and features, that allow users to customize their piano sounds even more and get a much more realistic experience. Of course, the PX-130 ships for the higher price of $499 and does not come with the three-pedal system or the furniture-style stand (both optional), so if you want the complete package prepare yourself to spend much more than you might have considered before. The eternal competition between Casio and Yamaha has literally raised the bar of entry-level digital pianos in terms of quality. 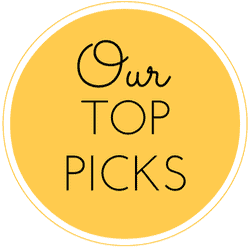 In the last few years, we’ve seen plenty of additions in the cheaper products, which are continuously evolving in much more professional instruments. This is the case with the new CDP-130 and Yamaha’s P-45: each instrument has evolved from the past by adding several innovations. With that said, which one is the best 88-key entry-level digital piano available? 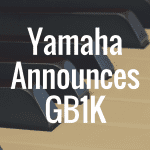 Well, if you consider the sound engine, then Yamaha may offer something extra, thanks to its AWM Stereo Sampling engine that has quickly become a standard in the industry and now offers a 64-note maximum polyphony (against the 32-note of the older P-35). Like the CDP-130, the Yamaha P-45 offers ten different voices and all of these are of great quality for the price–though the best sound is certainly its acoustic piano stereo sample. If you care about the keyboard action quality, then Casio may make more sense for you. The 88-key Scaled Hammer-Action Keyboard from the CDP-130 is definitively better than the P-45’s–less noisy and weighted in a progressive way (harder to lighter) just like a real piano. While things get better if you can afford the budget of the Casio PX-130, which features the new Tri-sensor Scaled Hammer-Action Keyboard, you can’t get more value choosing one of the more expensive pianos from Yamaha under a $700 price range, such as the P-105 or the new P-115, because they still use the same GHS keyboard as the cheaper models. The higher price of the P-35 and the P-45 is somehow justified by a few exclusive modes, such as the Duo (which splits the keyboard in two separate parts, which is very helpful for teachers who want to play along with their students) and the Half-Pedal support (available with the optional FC3-A damper pedal), which emulates all the mechanical noises of a real piano. None of these features are available on the Casio’s CDP-120 or CDP-130 models, but again, if you can invest $100 more, you will get all these features and even more with the Casio PX-130 digital piano. Casio has improved its entry-level product by adding even more options in a digital piano that ships for a lower price than its predecessor. The CDP-130 offers ten good sounds, a great 88-key hammer-action keyboard and a great bunch of modes, but in order to be the perfect solution for beginners, Casio must add other important features, such as the half-pedal support and some sort of lesson mode. 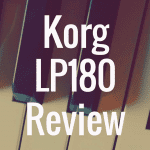 That said, the CDP-130 is definitively one of the 2015’s best digital piano for beginners. 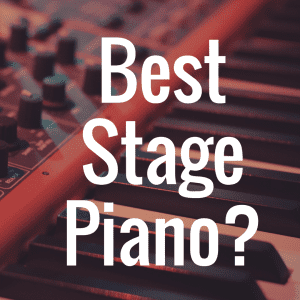 If you enjoyed this article, please bookmark out homepage Digital Piano Review Guide to get our complete list of piano reviews. Please also like us on Facebook! 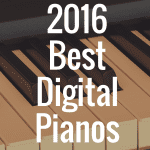 What Are the Best Digital Pianos of 2016?